As avid Sunday lunch fans, we have regularly had Romney Marsh lamb, so decided we must go somewhere to give it a go. 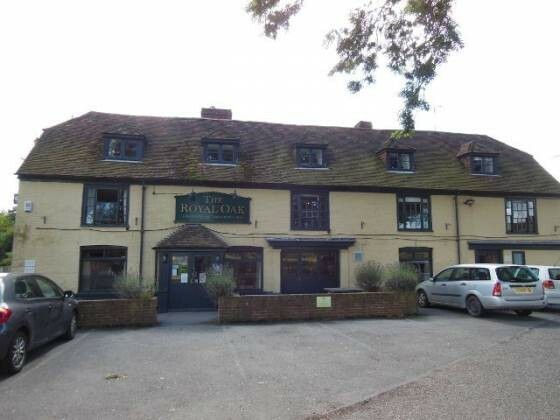 We settled on having Sunday lunch at The Royal Oak, Brooklands in Romney Marsh, Kent. We arrived a bit earlier and settled in the bar for a quick drink. The pub area was nice and clean, the owners obviously take care of it. The service here was ok, but unfortunately my Yorkshire pudding was completely burnt. Also, the roast potatoes were burnt on one site. It’s a shame, as the Romney Marsh lamb was nice and delicate. Claire’s lunch was very nice though, so I think this was more of a one off.